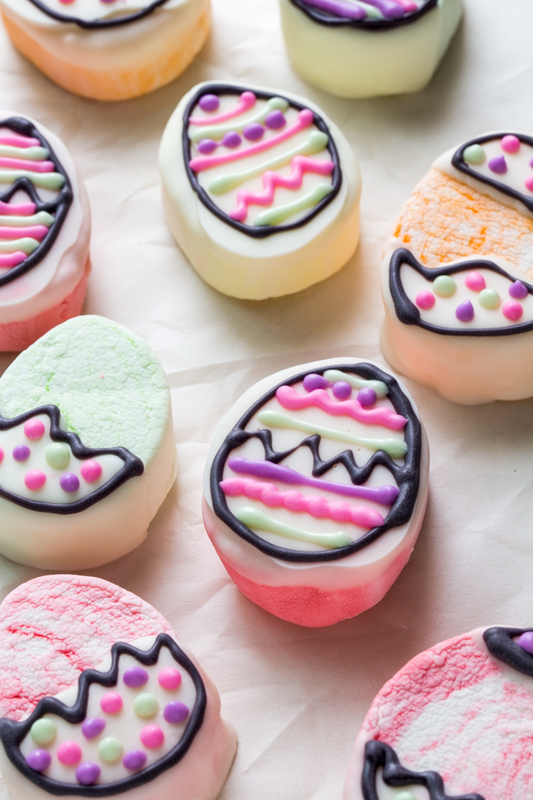 Marshmallow Easter Eggs are festive, no-bake treats that the whole family will love! It’s the Monday before Easter and this past weekend we were shocked with a burst of warm weather. It feels foreign to be able to open windows and hear birds singing. To wander outside without zipping tiny coats and pulling on hats and mittens. It’s the very best kind of strange. The arrival of true Spring weather gave me the urge to make something sweet and happy in the kitchen. Something that would bring to mind colorful tulips, warm breezes and exciting Easter egg hunts. Marshmallow Easter Eggs were just the thing I needed. These marshmallow Easter eggs start with the sweet and fluffy Campfire® Marshmallows Egg Swirlers. As soon as I popped open the bag, I was blown away by how adorable these little Egg Swirlers are. Then I tasted one. Oh. My. Goodness. These are quite possibly the most fantastically fluffy marshmallows I’ve ever tried. And the flavors! The orange is exactly like a creamsicle. Exactly. The kiddos went nuts over these and we thought it would be fun to dress them up a bit for Easter. 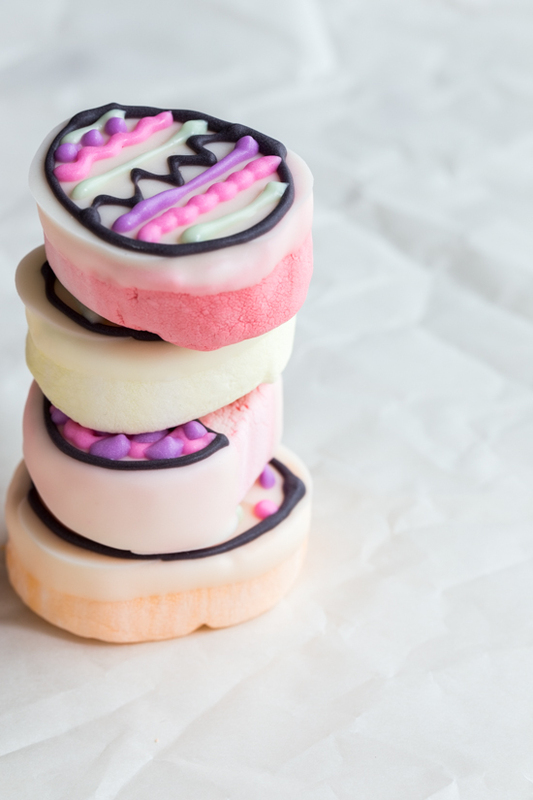 A simple coating in melted vanilla candy coating followed by simple piped stripes and polka dots with tinted candy coating (or you could use melting wafers) are all these marshmallows need to transform into a lovely little Easter dessert. Vanilla candy coating paired with the fluffy, fruity marshmallows is a winning combination. Evidenced by the four Marshmallow Easter Eggs that I ate in one sitting. I’m happy to share that my friend Jamie and I have teamed up with Campfire® Marshmallows to bring you creative, seasonal and delicious treats so be sure to watch out for more marshmallow fun to come. And with camping season just around the corner, I have some very big plans. S’mores, anyone? 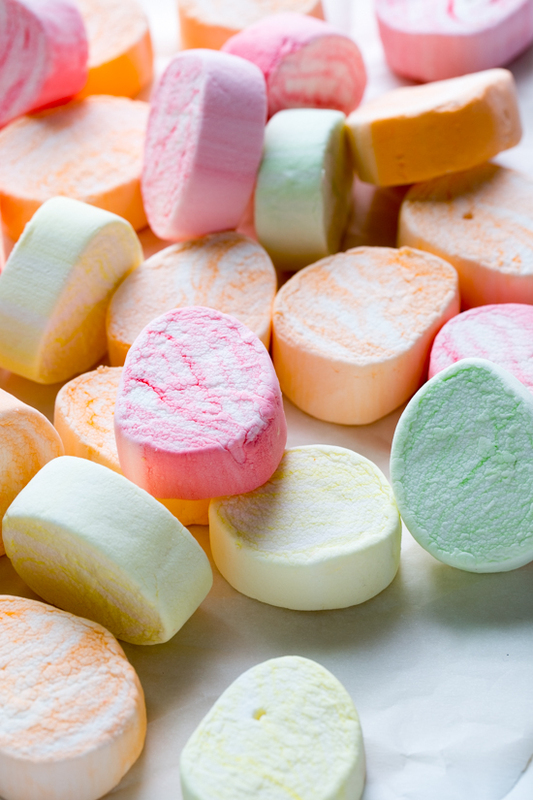 To join in all of the marshmallow fun, follow along with our Marshmallow Madness Pinterest board! For more information about Campfire® Marshmallows and for details on how you can enter your own recipe to win up to $500, visit their Facebook page. Disclaimer: This post is brought to you by Campfire® Marshmallows. All thoughts and opinions are 100% my own. Line a baking sheet with parchment paper and set aside. In a microwave safe bowl, melt half of the candy coating according to package directions. Dip Egg Swirlers, one at a time, into the melted candy coating. For a 'cracked egg' look dip just the top and bottom of the marshmallows. Place dipped marshmallows onto prepared baking sheet and allow candy coating to set. Melt the remaining candy coating, dividing it among several small bowls. Tint the coating with a variety of colors and transfer to freezer weight zip top bags. Snip a very small piece off of one corner of the bag and pipe stripes, polka dots and zig zags over the top of the dipped marshmallows to create your desired look. Allow coating to set. 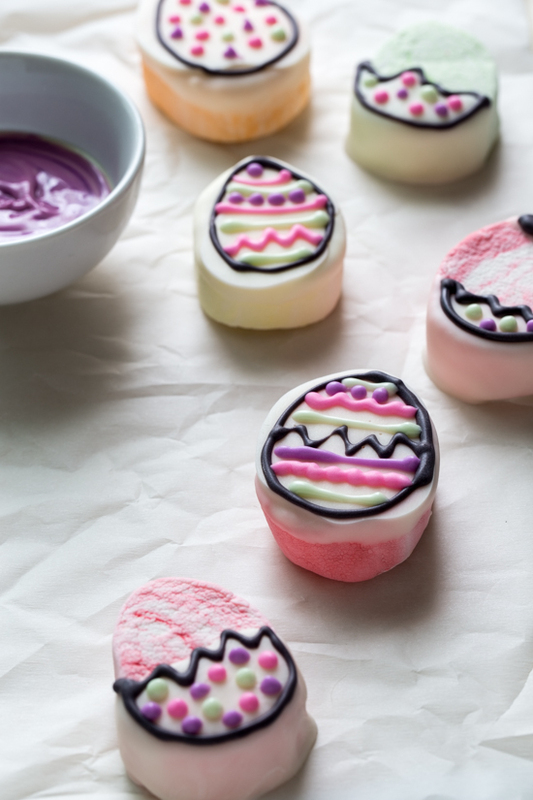 Store dipped Easter Egg marshmallows in an air tight container for up to 3 days. Oh my gosh, I cannot get over how cute (and easy to make!) these are!! Love this idea for Easter so much! These are so adorable Emily! I’ve never seen these swirly marshmallows, but I might have to hunt them down. Creamsicle flavored marshmallow? Yes please! Oh my gosh!! These are so fun and cute! Can’t get over how festive they are. And you’re pictures are gorgeous. I checked the Campfire site, but do not see any product listed for Campfire® Marshmallows Egg Swirlers. Where did you buy them; I would love to make these cuties with my grandbabies? These are too darn cute! We are going camping next weekend, and I have feeling if I can find a bag they will be going along. Ideas a rushing in …. My kids would love making then eating these! Such a fun idea, Em!